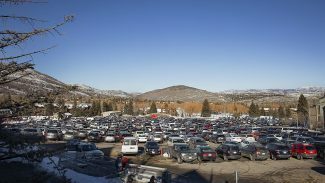 The Park City Police Department last week continued to receive complaints about parking problems, another set of reports that followed a string of earlier ones during the Sundance Film Festival and the heavy snows at about that time. The cases last week appeared to be a result of large crowds in the city for a busy ski weekend. 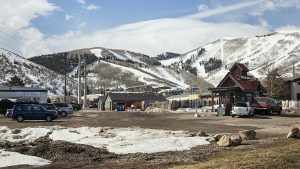 Some of them were reported in the vicinity of Park City Mountain Resort. On Saturday, Feb. 4 at 3:58 p.m., a car was reported to be parked in front of a driveway on the 1000 block of Lowell Avenue. It blocked the driveway all day, department logs indicated. At 12:28 p.m. that day, a vehicle was reported to be parked in the street on the 1200 block of Empire Avenue in a location where parking is prohibited. A vehicle was also reported on Feb. 4 to be parked in front of a driveway on the 1200 block of Lowell Avenue at 8:25 a.m.
On Feb. 4, meanwhile, cars were reported to be parked “up and down” Daly Avenue at 5:58 p.m. The parked vehicles made it difficult for other vehicles to pass, the police were told. 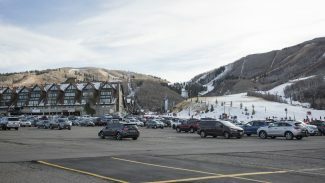 The Police Department regularly fields complaints about parking, particularly during the busy ski season. On Sunday, Feb. 5 at 10:44 p.m., the police received a complaint about a loud hot tub party on Racquet Club Drive. The Police Department classified the case as disturbing the peace. Two people were reported to have become stuck in an elevator on the 7400 block of Royal Street at 1:31 p.m. They got out, but it was unclear from public police logs whether they were freed by the time emergency crews arrived or whether the crews got them out. 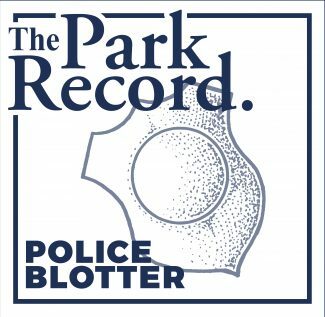 The police at 12:32 p.m. received a complaint about a driver on Lowell Avenue who was reported to be “brake checking” and was driving at an “excessively slow” speed. The vehicle blocked others from passing, the police were told. A two-vehicle accident was reported on the 1700 block of Kearns Boulevard at 11:03 a.m. Nobody was injured, the airbags were not triggered and the vehicles did not block traffic, the police said. On Saturday, Feb. 4 at 11:57 p.m., a violation of Park City’s rule against vehicle idling was reported on the 500 block of Swede Alley. The Summit County Sheriff’s Office relayed a case to the Police Department at 6:34 p.m. involving a vehicle that reportedly crashed into a snowbank and then left. The case was logged on Oak Leaf Court, but it was not clear from public police logs whether the accident occurred there or the vehicle was tracked there. A bus reportedly hit a parked fire truck on the 500 block of Swede Alley at 3:06 p.m. The bus was taken to a garage while the fire truck was still at the Old Town transit center at the time the police were notified. A large purse reportedly disappeared and was possibly stolen on the 400 block of Main Street. The police received the report at 8:28 a.m. The purse, though, disappeared at a nightclub the night before, the police were told. On Friday, Feb. 3 at 11:38 p.m., a traffic accident was reported somewhere along Park Avenue. One vehicle hit the rear of another, the police said. The accident blocked the road. Nobody was injured. The police classified the case as suspected drunken driving. A hit-and-run accident was reported at 9:40 p.m. in the vicinity of the intersection of Deer Valley Drive and Park Avenue. The police were told a black sport utility vehicle “scraped” the front of another vehicle and left. A vehicle was seen off the road somewhere along Marsac Avenue after an apparent slide-off accident. The vehicle was “pretty well into a snow bank,” the police said. A hit-and-run traffic was reported on the 1300 block of Lowell Avenue at 3:08 p.m. The victim’s vehicle suffered bumper damage, the police said. A person became stuck in a carwash on the 1800 block of Bonanza Drive at 1:59 p.m. Public police logs did not provide details. A carbon monoxide detector sounded somewhere along Woodside Avenue at 2:58 a.m. 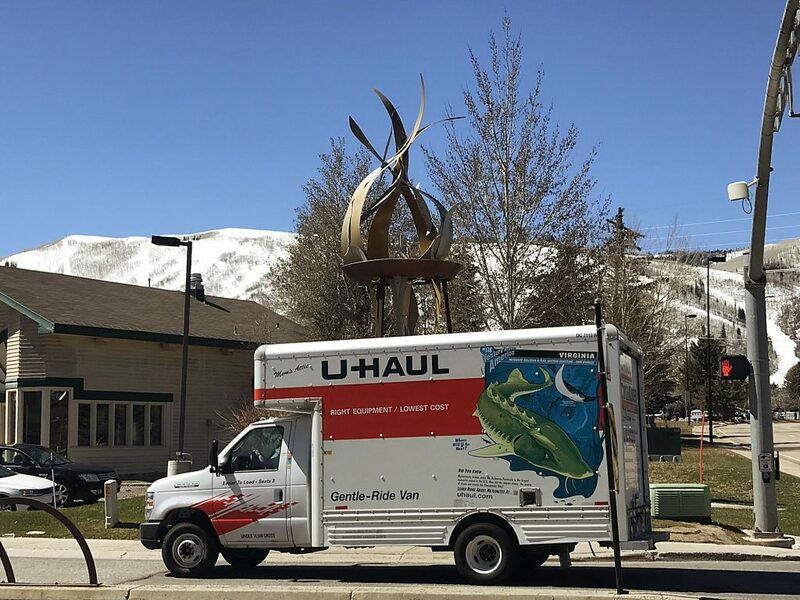 The Park City Fire District responded. On Wednesday, Feb. 1 at 11:50 p.m., the police received a report that a vehicle “tailgated” another vehicle as they exited a garage in an effort to avoid paying a parking charge. The garage is on Main Street. On Tuesday, Jan. 31 at 8:05 p.m., the police received a report that wires spanning Daly Avenue were hanging low as a result of the snow. The person who contacted the police was concerned the wires could pose a hazard to high-profile vehicles, the police said. A $100 bill suspected to be counterfeit was reported on Lowell Avenue at 10:30 a.m.
On Monday, Jan. 30 at 11:57 a.m., the police received a complaint that someone on Lowell Avenue attempted to use a season ski pass that was apparently owned by someone else. The owner was unaware the pass was lost, the police said. The Police Department classified the case as a suspected theft.